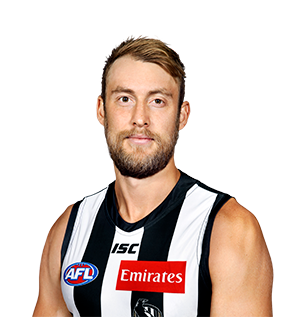 Collingwood defender Ben Reid remains on track to resume full training early in the new year. Nathan Buckley has forecast some big-name inclusions for Collingwood's final NAB Challenge hit out. 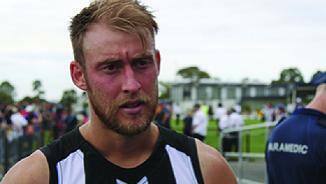 Reid "could play this week"
Injury plagued Magpie Ben Reid says he could play this week after completing 90 per cent of the pre-season in preparation for 2016. After starring in a premiership at 21 and being named All-Australian centre half-back at 22, the big left-footer has found the going tougher in the past five years as he has been beset by a series of soft-tissue injuries. The swingman experienced another disastrous season, being restricted to just six games. Played five of the opening six rounds in attack before suffering achilles, quad and calf ailments. In perhaps an ominous sign, Reid was available for the Pies’ last three finals but was overlooked, named an emergency on each occasion. Might need to return to defence, at least early in the season, to fill holes left by injuries. 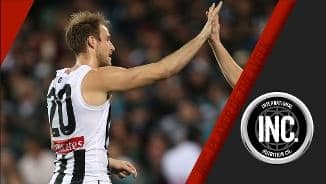 Draft history: 2006 NAB AFL Draft 1st round selection (Collingwood) No. 8 overall. Player honours: All-Australian 2011; NAB AFL Rising Star nominee 2010; premiership side 2010. Brownlow Medal: career votes 9.